The Nikon AF-S 28mm f/1.8G is a wide angle prime lens designed for full frame (FX) cameras. It can also be used on APS-C bodies but instead of a wide angle view, you will see a near normal 42mm equivalent field of view. The lens features a fast f/1.8 max aperture that is ideal for low light situations and can help to minimize depth of field. However, due to the 28mm focal length, shallow depth of field is more difficult to achieve. This is because of the physics of lens design. Wide angle lenses give more depth of field all else equal. Overall image quality is very good on this lens. Being a fast prime, image quality is best around the mid range of the lens (f/8-f/11). Wide open, the image quality is quite good in the center, but the corners are not as good. however, since this is not a lens that you are likely going to use to shoot flat 2-dimensional subjects (like test charts) you will probably not notice the corner quality near as much as the depth of field blurring the corners. Especially when shot wide open. This is a lens that is most likely going to be used in landscapes and low-light indoors. 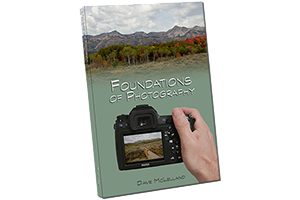 In Landscapes you will be stopping down to f/8-f/11 for depth of field which will improve the corner image quality. When used in low light, shooting wide open will give you a shallow depth of field that will hide most corner quality issues. On Full frame cameras when shot wide open this lens will vignette about 2-2.5 stops. however, this can be fixed in post processing fairly easily. Especially if you shoot in RAW. If you shoot in JPG, most modern Nikon DSLR cameras have built in lens correction that will fix the distortion in camera for you. Either way, vignetting is a non-issue. This lens does have a decent, although perceptible distortion of just .8% on full frame and .3% on APS-C cameras. Like vignetting, this is easy to correct if you shoot RAW or if you have a Nikon DSLR camera built in the last 4-5 years and shoot JPG, your camera can correct distortion on the fly. CA is almost non-existent on this lens, and the little bit there is can be fixed quite easily in post processing if you shoot in RAW. Build quality is decent, although the lens body is a little lighter and sound a bit more hollow than I like for it’s price point. The lens is not weather sealed, which means it is not necessarily a great choice for photographing skiing and snowboarding up close. 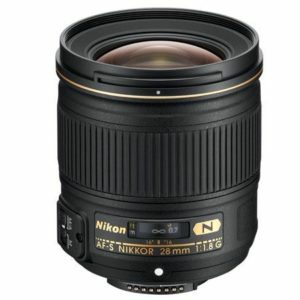 If you want a fast wide prime that wont break the bank, then the Nikon 28mm f/1.8 is a great choice. However, the Tamron 35mm f/1.8 is just a little bit less wide, but costs less, is better built (Much more solid and weatherproof) and has image stabilization. The difference between 28 and 35mm is only about a step or 2 forwards/backwards for the photographer in most cases. If you can get by with 35mm instead of 28mm then I would suggest the Tamron. But if you really need to have the extra 7mm on the wide end, then the Nikon is a good choice. based on 237 user reviews online.